I am excited to tell you. 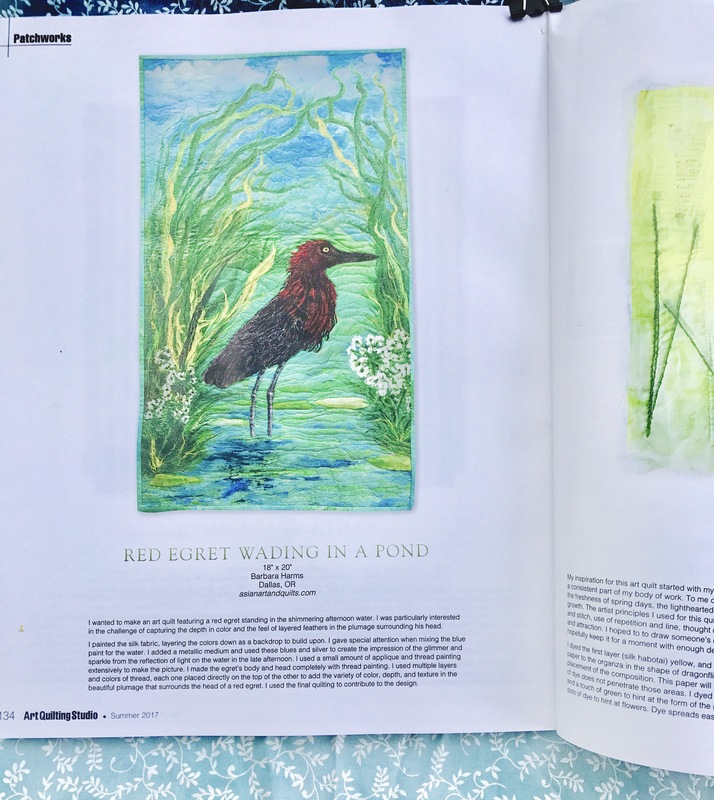 Art Quilting Studio magazine is publishing another one my art quilts in it’s latest summer issue. This time it is my Red Egret At Waters Edge. I tried to capture the sparkling glimmer created by the suns rays reflected as it sinks lower in sky. 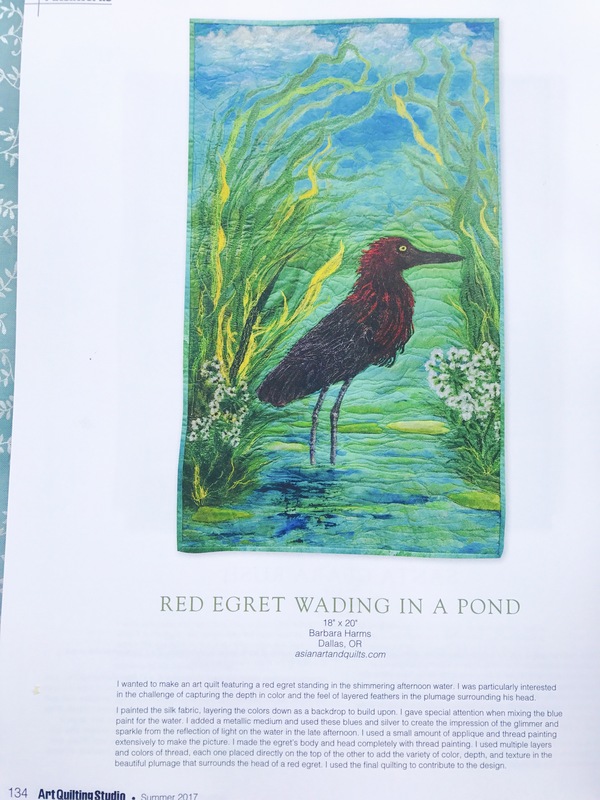 Here’s some pictures of of my “Egret” as published in the magazine. 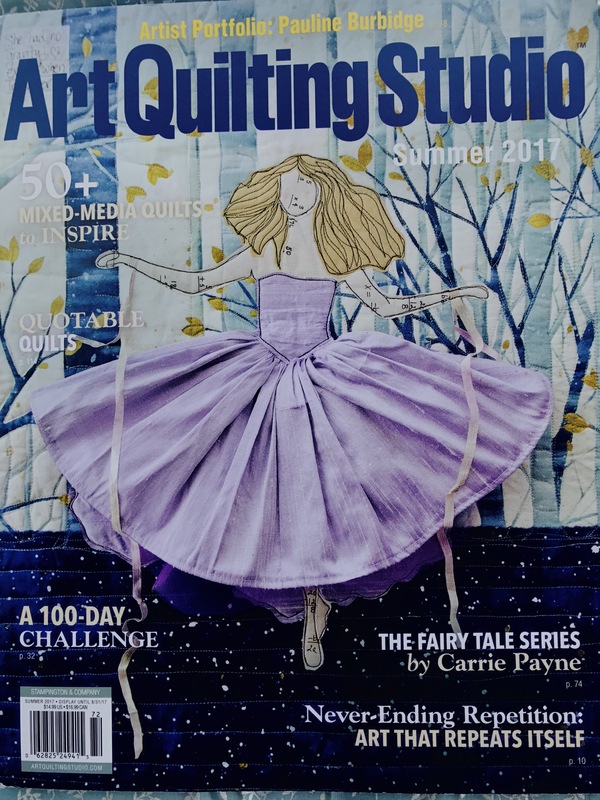 It is a beautiful magizane and the content addresses the kind of information that most art quilters would be interested to know; techniques, materi:als and jibrands used, etc. I’m excited and appreciative to be included in this beautiful publication. Note: This quilt is available on my Etsy shop, https://BarbaraHarmsFiberArt.com as soon as it is returned from the magazine.